The remarks by Martin Rama, the Chief Economist for the South Asia region of the World Bank, came as the rupee hit an all-time low of 74.45 against the US dollar on Thursday. WASHINGTON: An orderly depreciation of the rupee would increase competitiveness and relieve some of the pressures in capital market, according to a top World Bank official who described it as a "positive development" if done in a right way. "We think that an orderly depreciation of the rupee would increase competitiveness and relieve some of the pressures that we are seeing in general in capital market," Rama told PTI. As such the World Bank sees the depreciation of the rupees as a "positive development provided it is done in the right way, Rama said when asked about the rapid deprecation of the Indian rupee in recent weeks, which has now dropped to a historic low. He said that South Asian countries may be tempted to slow down the devaluation of their currency, because that translates into inflation, and not being very popular. Responding to a question, Rama said it is a bit early to say how the ongoing trade war will have an impact on India's economy. "I feel a bit early, but we will expect that a combination of a strong input demand in Europe and especially in the US, together with a more competitive exchange rate will help (India) on the trade side," he said, adding that this will help boost exports, not only in India, but also in other countries in the region too. In its latest South Asia Economic Focus Report, released early this week, the World Bank projected India's growth to rise to 7.3 per cent in FY 2018/19, and to 7.5 per cent in the following two years, with stronger private spending and export growth as the key drivers. Prompted by the adoption of the Goods and Services Tax and the recapitalization of banks, growth in India is firming up and it is projected to accelerate further, it said. The slowdown in India's economic growth in previous years was partly the result of demonetization and some other policy uncertainty, he said. "The slowdown that we saw in India was partly the result of demonetisation, although not to a large extent. And also there were uncertainties with GST, but the slowdown started earlier. There were five quarters of slowdown. And we see that's now clearly behind, Rama said. "Both GST and demonetisation, whichever effect they had (on the economy) at the introduction are over. The positives maybe starting to kick in, because both measures, through greater use of electronic payments and especially through the triangulation that GST allows, should lead to more formalisation and greater tax revenue in the future. So we see that mainly behind now," he said. Rama noted that the South Asia Economy Review discusses the impact of about how economic shocks and political cycles have an impact on the growth. "Fiscal consolidation is expected to resume in FY18/19, but slippages could happen on both the revenue side (as the GST is still stabilizing) and the expenditure side (ahead of state and federal elections)," the report said. Elevated oil prices, a recent hike in agricultural support prices, and further exchange rate depreciation, could keep the inflation outlook challenging, possibly resulting in further monetary policy actions, it said. 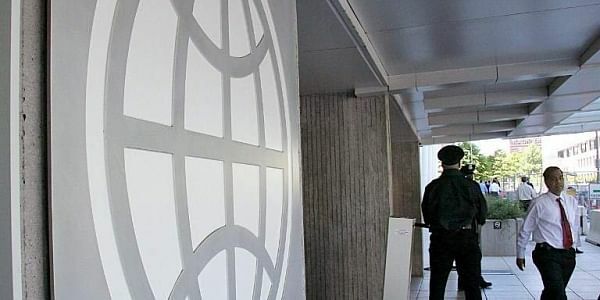 The World Bank, he said, is concerned that not just in India, the fiscal policy stance has been too expansive given the overall situation of the economy. And that is exemplified by election cycles not just in India but also other countries in the region as well, he said. Rama said the devaluation of currencies of South Asian countries would add to their competitiveness in the case of increased trade tension between US and China. Overall performance of India has been strong (in the last decade)," Rama said. The concern we raise in this report is about fiscal policy, where we see that there has been discipline and consolidation at the center, less so at the level of the states, where the situation is more heterogeneous, he added. "In times of strong political competition, maintaining a fiscal discipline is a challenge," said the World Bank official. Rama said substantial government spending is understandable, even beneficial if well-invested, given South Asia's enormous development needs. "But South Asian economies need to address their fiscal challenges to give themselves room to maneuver and sustain their journey toward greater prosperity," he said.